This tasty Palak Pongal can easily be done in 14 mins.Palak with rice and spices cooked in coconut milk- a green pongal for palak lovers.Paruppu thogaiyal is the best combination for this Palak Pongal.Happy Cooking. Wash the raw rice and the split moong dhal together. Heat oil and ghee in a pressure pan.put chopped ginger,cumin seeds,whole red chillies,chopped onions,chopped tomato and saute for 2 mins. Then add asafoetida powder,crushed pepper corns and chopped palak leaves,washed raw rice and split moong dhal. Add coconut milk and needed water (atleast 3 cups) and salt ,pressure cook upto 4 whistles. 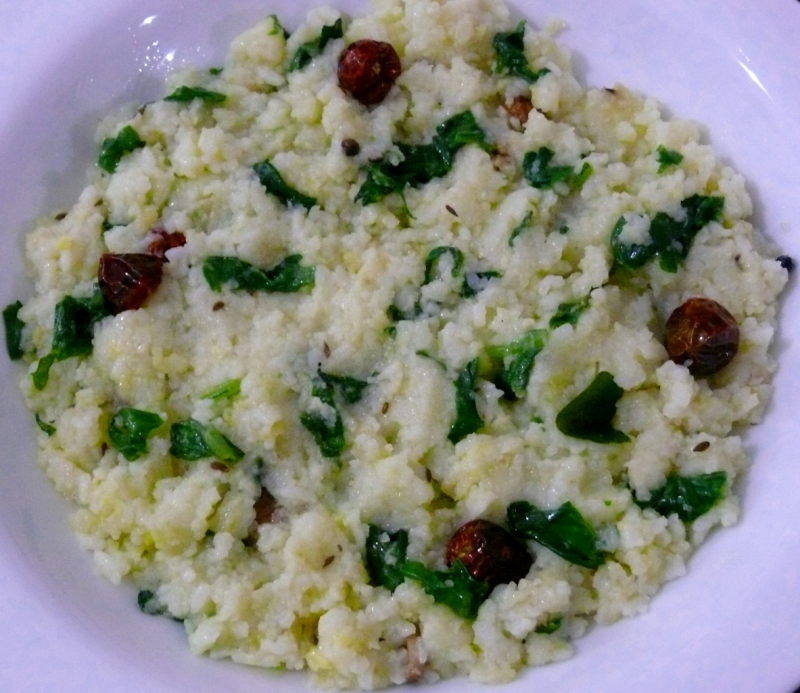 Garnish with crushed cashews ,mix well and serve with Paruppu thogaiyal(thick chutney). This recipe is very nice my son is not eating green veg so this is very good option to make palak with rice.